Eureka! Clinical Analytics provides tools for creating a repository of best practices for how to find patients of interest in electronic health record datasets. 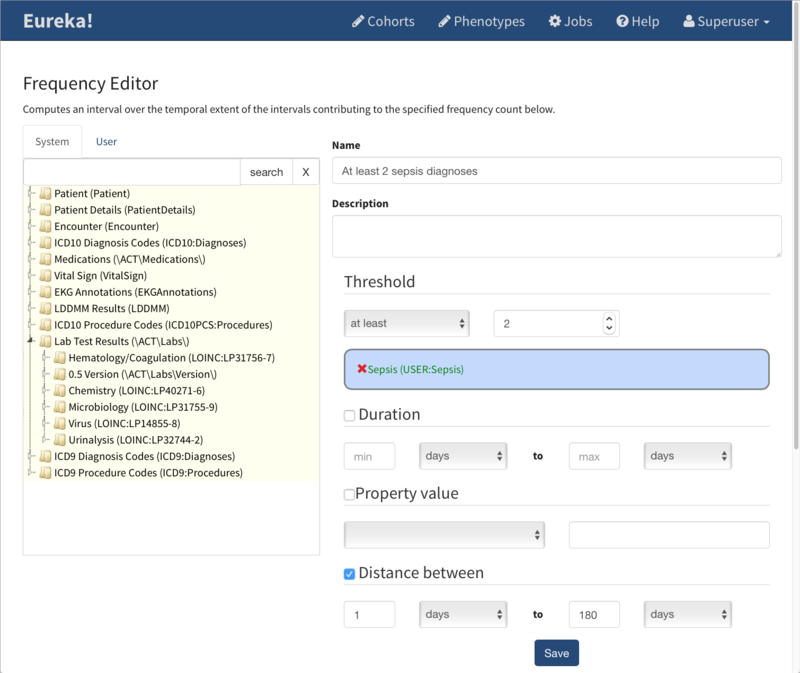 Eureka stores these patterns in clinical and administrative data, called phenotypes, in computable form and supports computing them rapidly in clinical datasets. Copyright © 2017 Emory University. All rights reserved.